Many homeowners don't need a full central air conditioning system for their home, but are still interested in an energy efficient cooling system. Evaporative cooling systems can be a good choice for homeowners who are looking for an alternative air conditioning option. At Precision Air, we specialize in all types of air conditioning system installation, and we can help you determine if evaporative air conditioning is right for your home. 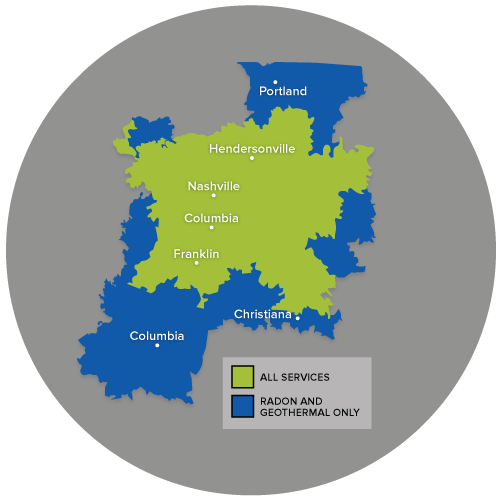 Call us today at 1-844-386-0719 or contact us online to get started with a free estimate in Nashville, Franklin, Murfreesboro and the nearby areas! To understand evaporative cooling, think of how your body reacts to a workout. As sweat evaporates from skin or clothes, we cool off. It takes heat energy to change water from a liquid into a vapor, so heat is lost (causing cooling) when this phase change occurs. An evaporative cooler works by forcing warm outside air through a damp pad, and then blowing the resulting cooled air into the living space. Modern evaporative systems can be efficient and effective, but results can be dependent on climate as well as your home's specific air conditioning needs. Our pros will help you understand what air conditioning options are right for your home. If you're interested in upgrading your home's air conditioning system, the local experts at Precision Air are here to help. We can evaluate your home and recommend the best system to maximize your home's comfort and energy efficiency. Call us today at 1-844-386-0719 or contact us online to get started with a free estimate in Nashville, Franklin, Murfreesboro, Antioch, Hendersonville, Brentwood, Smyrna, Lascassas, Madison, Hermitage and the surrounding areas.